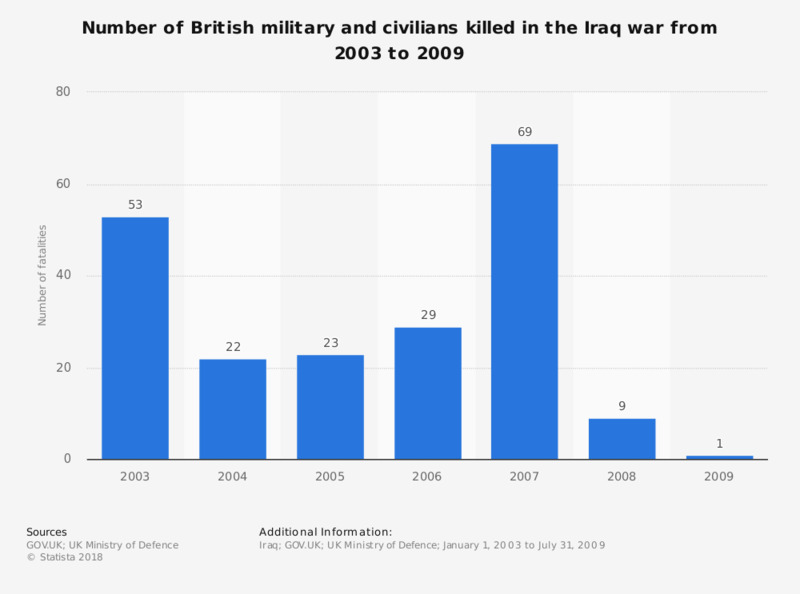 This statistic shows the number of British soldier fatalities in the Iraq War in the period between 2003 and 2009. The highest number of fatalities occurred in 2007 when 69 service personnel died. Throughout this period a total of 206 British Army soldiers died.